"With You a Disciple, For You HIS Priest"
Helen, not the mother of Emperor Constantine the Great, but a senior colleague at the 50+ Painting Group in San Bruno, California, asked me on January 7, 2016 if I had been to the Vatican or if I had met Pope Francis. I replied to her in the affirmative. Yes, I had been to the Vatican on June 20, 1989 and met Pope John Paul II [G357], now a canonized saint. I replied to her in the negative. No. I have not met Pope Francis. However, I informed her that I meet his Boss on a regular basis. She was confused and retorted with “does the Pope have a Boss?” Yes, even the Pope has a Boss, it is the Risen Christ. In this section I hope to share with you about Jesus of Nazareth, the Risen Christ, as I understand and experience him. Right from my mother’s womb I grew up believing in the Risen Christ. My Dad’s 17th great grandfather Tipú Santú Naik Sardessai and his clan of Ksatryas were the first converts from Hinduism in South Goa and lived in Aquem [Ap B]. They were baptized and welcomed into the Roman Catholic faith in 1560 by Padre Sebastião Coelho, whose last name we continue to bear. I am not sure what motivated my 18th great grandfather, but both my parents were staunch believers and recited the Nicene Creed [Ap D] daily in Portuguese or Konkani, the language of the Konkan coastal region of India. Along with them I professed that Christ rose again on the third day in accordance with the Scriptures. Throughout my life I have read, studied, reflected on and prayed the Christian Scriptures. Over the years I’ve learned that the mystery of the resurrection is foundational to the Catholic faith. During my years at the Divinity Schools in India at the Sacred Heart College in Yercaud, Tamilnadu, and Kristu Jyoti College in Bangalore, Karnataka, and later on as I studied for a Masters’ Degree in Spiritual Theology at Pontificia Studiorum Universitas Salesiana in Rome, Italy, I accepted this fundamental dogma of Christianity as understood by the Roman Catholic Church. As I moved away from Rome and traveled through the “Void of Nothingness” [E171] while on a spiritual quest in the San Francisco Bay Area in California, I questioned my beliefs, deepened my faith and broadened my perspectives. I’ve met and ministered to many people with or without a faith tradition. Though I may not adhere to their views, I have learned to respect them, including those expressed in The Apostles’ Creed Revised for Humanists by Mary Johnson [Ap E]. In 2014, I came across B. D. Ehrman’s book How Jesus Became God: The Exaltation of a Jewish Preacher from Galilee. Ehrman took eight years to research and write this book for the interest of secular historians of religion and believers alike. How Jesus Became God addresses the historical developments that led to the affirmation at the heart of Christianity: Jesus was, and is, God. Ehrman sketches Jesus’ transformation from a human prophet to the Son of God exalted to divine status at his resurrection. He frames the question as: Did Jesus’ followers actually see a resurrected Christ? Ehrman first considers the various interpretations of divine humanity in ancient times. When it comes to the resurrection, he explains that whether the apostles actually saw Jesus or saw a vision makes no difference. Their belief in a risen Jesus is what shifted and shaped Christianity. Ehrman argues that if Jesus had not been declared God by his followers, they would have remained a small sect within Judaism. Early Christianity would not have attracted a steady rate of conversions over the first three centuries. The Roman emperor Constantine almost certainly would not have converted and Christianity would not have become the state religion of Rome. If that hadn't happened, it would never have become the dominant religious, cultural, political, social and economic force that it became. The Middle Ages, the Renaissance, the Reformation or modernity as we know it, would probably not have happened. History as we know it hinges on their claim that Jesus was God. It is not my intention here to offer arguments for or against the historicity of the empty tomb, the veracity of the resurrection or life after death. It is not my purpose to offer another way to understand and interpret the mystery of the resurrection. I believe that the transformative power, the historical development and the geographical expansion of the unparalleled message of Jesus of Nazareth is the miracle of the Risen Christ. This is not to say that there have not been aberrations and detestable crimes committed in the name of the Risen One by followers less holy than the Nazarene. My humble focus here is to understand the transformative power of the Spirit or Breath of the Risen Christ that make his followers all over the globe today and for the past two thousand years exclaim with the disciples at Emmaus [Lk 24/32] “Did not our hearts burn within us as he talked to [breathed along with] us on the road?" I grew up in a family that believed in the faith of our forefathers beginning with those disciples and apostles who were the first witnesses to the Resurrection. These believers who lived with Jesus of Nazareth had witnessed the purposeful, powerful and positive transformations in their lives and in the lives of their communities. They were determined to share their personal and collective stories as the Good News. Each of the four Gospel writers reached out to different groups of people or communities of believers and were inspired by different apostolic sources. In their accounts Mathew, Mark, Luke and John had recourse to factual narratives or memories of deeds, miracles, encounters and sermons with theological themes ascribed to Jesus of Nazareth that described him as the Resurrected Christ or the Anointed One of God. These accounts, as we know them, were mostly written in the second century of the Common Era many years after the death of Jesus of Nazareth. Their purpose was more catechetical, i.e., to teach about faith in the Breath or Spirit of the Risen Christ, than historical, i.e., to narrate the chronology of events in the life of the breathing and dying Jesus of Nazareth. Every breath of Jesus of Nazareth, the Anointed and Risen One, beginning at his birth from the immaculate womb of Mary and ending with his last breath nailed to the tomb of the cross, unfolded a four-fold movement or four spiritual directions. The enfolded joyful, sorrowful, glorious and delightful mysteries [Ap F] were the manifestation and realization of the will of his heavenly Father. These mysteries understood theologically are labeled as Incarnation, Passion, Resurrection and Pentecost. The Breath or Spirit of the Risen Jesus filled his helpless disciples and transformed them into powerful witnesses of The Christian Way of the Breath: Awakening, Balancing or Centering Delight. With Paul of Tarsus and his group of believers in The Way of the Breath, the Jesus Movement traveled beyond the stagnant waters of the Dead Sea and the turbulent waters of the Sea of Galilee and moved towards the cities of the Mediterranean and Agean Seas like Antioch, Ephesus and Corinth, where they reached out to the gentiles. It was in Rome that many of the early followers of Jesus’ Way faced great martyrdom at the hands of the Roman emperors. Nero blamed them for the burning of Rome and Diocletian made sport of them by feeding them to the lions. In the early fourth century of the Christian or Common Era [CE] Emperor Constantine had a vision of the Cross of Jesus as a symbol of victory at the Milvian Bridge. When Emperor Constantine scored a great victory and embraced Jesus’ Way of the Breath he worked on making it the religion of the empire of Rome. Simon Peter [c1-64] and Paul of Tarsus [c8-65] are two great followers and leaders of this Way. These two apostles and many others throughout its two thousand years of history have led countless souls along The Christian Way of the Breath. Jesus was union with God. His breath was God’s breath. 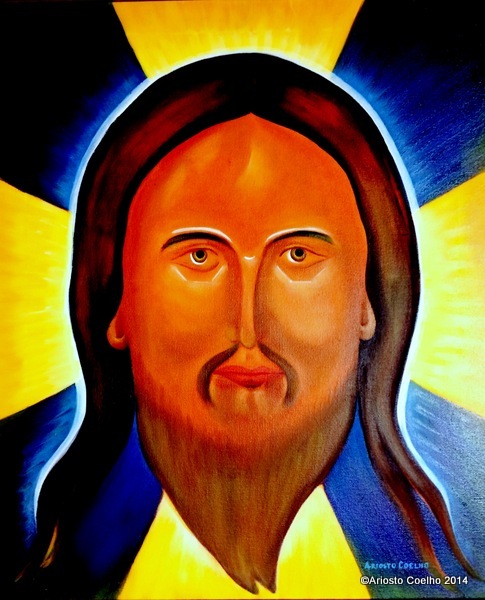 Breathing and living like Jesus is Christian discipleship, which begins with the sacraments of initiation, continues through daily prayer, meditation, liturgies of the Word and Bread, and life as service or action with compassion that leads to reconciliation, communion or wholeness: divine union. Drawing from the lives of Christian mystics I am inclined to describe four spiritual directions along The Christian Way of the Breath that lead to perfection or divine union. These can be described with four words in Aramaic, the language of Jesus, as Abba [Father], Maranatha [Come], Shalom [Peace], Ooteeshbokhta [Glory]. The first movement in Spiritual Direction with Jesus is acceptance of the mystery of God’s unconditional love. Acceptance means that, like Jesus, I am a Beloved Child of God, so is everyone else. It is the graceful awakening to Jesus’ prayer: "May they all be one, just as, Father, you are in me and I am in you” [Jn 17/21]. Jesus’ miracles, parables, sermons and encounters flow from this core experience. If there is one word that captures the secret of Jesus’ life, passion, death and resurrection, it is ABBA - the source of all that is - the dynamic presence. All that is good, true and beautiful is Abba. The way Jesus related to his Father with loving trust as His Beloved Son is the first key to our spiritual growth. This is my first meditation on the Mysteries of Jesus. The second movement in Spiritual Direction with Jesus is presence -the existential mystery of human life- being on Earth from birth to death. Presence means living with attention to intention like Jesus, “the Word made flesh, who dwelt among us” [Jn 1/14] and “did not count equality with God, ... but emptied himself” [Phil 2/6-7] and surrendered to God at the service of others. The life of every human being who comes into this world becomes God’s present [gift of love] for humanity only to the extent to which one surrenders to God like Jesus did. May the Living Son of God come and help us strike a new balance as we surrender our lives on earth to his heavenly plan. Maranatha is my second key to spiritual growth. The third movement in Spiritual Direction with Jesus is centering on the Holy Spirit. Peace flows as a transforming gift from the Spirit of the Risen Christ. 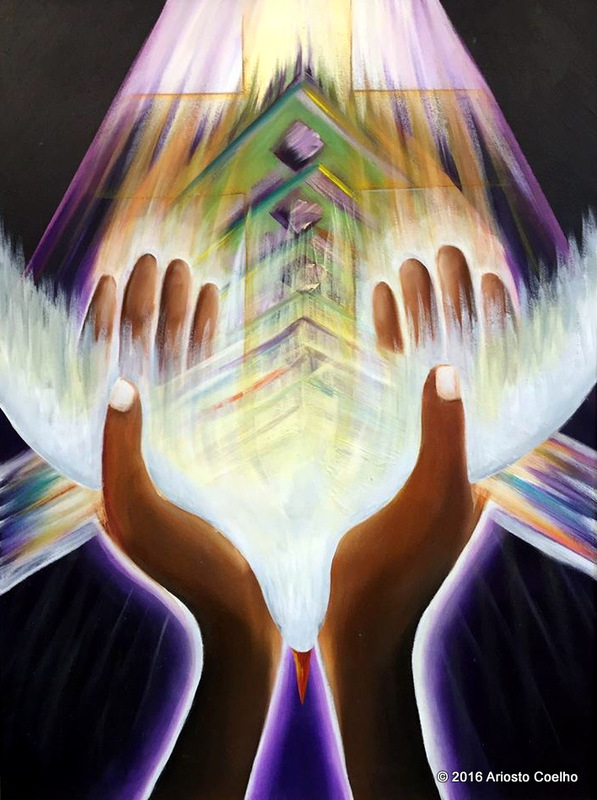 While the first two mysteries of Jesus are connected with my being human and divine, the next two mysteries are related to giving - forgiving and thanksgiving. By accepting that I am a Beloved Child of God and by surrendering to the Divine Plan I find it easier to give and receive the gift of forgiveness acknowledging that it is human to err, but divine to forgive. In the Sermon on the Mountain Jesus teaches his disciples, “Yes, if you forgive others their failings, your heavenly Father will forgive you yours” (Mt 6/14). To the woman caught in adultery, Jesus says, “Has no one condemned you, neither will I. Go in peace, and sin no more” (Jn 8/3-11). As he lay dying on the cross Jesus said, “Father, forgive them; they do not know what they are doing” (Lk 23/34). After his resurrection “he breathed on them and said: Receive the Holy Spirit. If you forgive anyone’s sins they are forgiven" (Jn 20/22). Shalom - the recognition of the Holy Spirit of forgiveness as a new Pentecost - is my third key to spiritual growth. The fourth movement in Spiritual Direction with Jesus is the grateful celebration of all God’s gifts, including life after death or Parousia in Greek. St. Paul urges us, “Always be joyful; pray constantly; and for all things give thanks” (I Thes. 5/16-17). This is the hallmark of the kingdom proclaimed by Jesus where his followers sing “glory in heaven” gracefully with gratitude and work unceasingly with compassion towards a civilization with a heart – “peace on earth” (Lk 2/13-14). I am grateful that Jesus calls me, like he calls every human being, to be part of God’s Universal Church of Delight and to proclaim with Isaiah (61/1-2) and many other prophets in both time and space “The Breath/Spirit of the Lord is in me, for he has anointed me to bring the good news” (cf. Lk 4/18) that grateful people are happy people. Thanksgiving, Ooteeshbokhta in Aramaic or Eucharistia in Greek is my fourth key to spiritual growth. “Passion! That’s what zeal is about! We’re excited! We’re eager! We’re raring to go! We’ve got chutzpa, nerve, energy, drive, zest of the apostles that first Pentecost morning” declares Cardinal Dolan. A passion for souls with the Breath of the Risen Christ is what priestly zeal is all about. At the age of nine I came to know a friend of youth whose priestly zeal was irresistible. Young as I was I decided to follow in the footsteps of this friend, St. John Bosco [1815-88]. On my way to the priesthood I dedicated my life to his motto “give me souls, take away the rest.” I professed as a religious Salesian of Don Bosco in 1968, and with utmost zeal have ministered as an ordained RC Priest in India from 1977 to 1987 mostly in the Archdiocese of Goa. As a Salesian of Don Bosco I was sent for higher studies in Spirituality. During these years I was on a spiritual search through research and was granted the privilege and opportunity of ministering as a student priest in the Roman Catholic Archdioceses of Rome, Chicago, Lyon and San Francisco from 1987 to 1993. The Risen Christ led me initially to Fr. Herbert Alphonso, SJ, Director of Centrum Ignatianum Spiritualitatis. With his guidance I went through a discernment process that lasted from November 1987 to June 1989. At the end of this spiritual exercise I decided to move away from the Salesians of Don Bosco and accepted priestly ministry in San Francisco, California. Pope Francis has declared 2016 as the Year of Mercy. Evidently, for the Pope the heart of the priesthood is mercy. The priest is one who shows mercy in all its forms, thus finding perfection in imperfection, discovering the saint in the sinner and seeing the Risen Christ in every fragmented life and condemned human being. 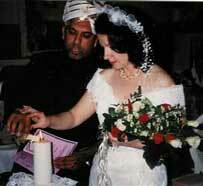 While working towards a Doctorate in Mystical Traditions after being trained in RC Spirituality, I fell in love with an irresistible woman sent by God and decided to get married in 1994. I am grateful to God for the gifts of the priesthood and the love of my wife. I’ve lived with Vivian Marrone as a married priest in San Bruno, California, for 23 years. As a married man I had to reinterpret my priestly identity which has three dimensions: my existence as a human being, my faith as a follower of Christ, and my role as a leader. Every day, that I live the vital connection between who priests are in virtue of their specific identity and what they do as ministers and pastors, I am faced with three conflicts related to priestly identity and zeal. 1- How do I live with myself, reconcile my RC beliefs with my being “sent to hell” after having dedicated my whole life with utmost zeal to the RC Church as a professed Salesian of Don Bosco? After my marriage I wanted to belong to a community of faith and continue to minister as a priest. I opened the local Phone Directory and called every Church in the vicinity. Some Pastors who received and answered my call were understanding of my condition, others did not care. An Orthodox Catholic Pastor was very direct and clear when he stated, “The Roman Catholic Church has sent you to hell, there is nothing we can do to help.” Fr. James Livingston from Christ Church in San Mateo was very considerate and invited me to minister at the Anglican Catholic Parish as an Associate Pastor. Consider this. A few years later Fr. James Livingston, a married Anglican Catholic priest, is accepted as a Roman Catholic Priest in the Archdiocese of San Francisco [H216]. To understand this paradox and how it impacted me directly, please check: A letter on Ash Wednesday, February 9, 2005 [Ap G]. 2- How do I use my life long beliefs, training and experience as a priest, when the RCs consider me a traitor? Here’s a concrete example of being treated as a traitor or being “sent to hell.” Immediately after my marriage I applied for and was offered a teaching position in the newly created Education for Parish Service Program at College of Notre Dame in Belmont, California. This position was denied to me when it became clear to the Management that I was no longer a priest in good-standing with the RC Church and the Archdiocese. I received a hand-written letter from Sr. Julie Bellefeuille on November 14, 1994 informing me that she had no clearance from the Archdiocese and I could not be offered this position. This experience and others made it almost impossible for me to utilize my specialized RC training and expertise in the SF Bay Area. 3- How do I explain to my family and others who were part of my life and ministry, that I am now an outcast? I hope this book throws some light on my answer to that question. I am aware that some of the RC and SDB priests known to me and who got married went through the process of laicization successfully. I did not ask to be laicized, because I always wanted to be a priest. If interested in more details, please check a draft of my Letter to Pope John Paul II [L196]. I have also noticed that some Salesian priest-writers in India have taken it upon themselves to erase my name from recorded history, I think because I decided to leave the SDBs. For more, please read “Intentional Amnesia, Culpable Negligence or Dishonest Distortions?” A reflection on December 21, 2015 [Ap H]. I felt disenfranchised, rejected, dejected and lost. I realized that the RC Church had not only abandoned me, but was also using some of its power in the Archdiocese of SF to attack me and prevent me from ministering as an independent catholic priest. If I am not mistaken they were motivated by fear and anger which partially dampened my spirit. As a wounded healer, but enthused with the Breath of the Risen Christ to continue ministry as a married priest, I joined the White Robed Monks of St. Benedict. 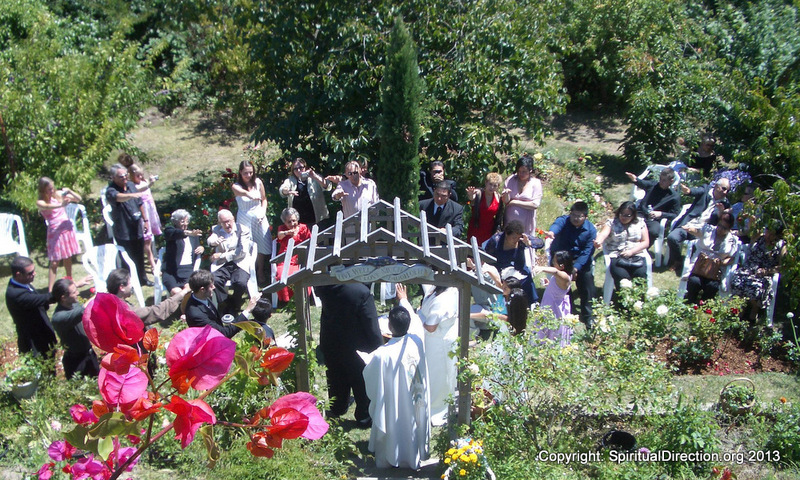 Over the years I have ministered to “Contemporary Catholics” in the San Francisco Bay Area and beyond; to Anglican Catholics at Christ Church Parish in San Mateo and St. Thomas a Becket Mission in Sacramento; to Traditional Episcopalians at St. John’s 1928 Book of Common Prayer Parish in Hayward; and to independent Catholics at El Buen Pastor Parish in San Bruno, East Palo Alto, Redwood City and San Mateo in California. With St. Paul [2 Cor 12/9] I want to thank God who makes me exclaim, "My grace is sufficient for you, for my power is made perfect in weakness. Therefore, I will boast all the more gladly about my weaknesses, so that Christ's power may rest on me” and breathe in me as I journey with the priesthood of the heart. On our way to the Circle of Union, I've come across a variety of people. Here I’d like to dwell on five circles of soul travelers that have been a part of my life throughout this millennium. As a multi-lingual mental health professional with Behavioral Health and Recovery Services [2000-15] I consider myself privileged to be part of what I call The Healing Circle. In my present capacity as a Licensed Marriage and Family Therapist and member of a Regional Youth Team in California I offer comprehensive and integrated treatment to the little, the lowly, the lonely and the lost. As I strive to empower my young patients and their families [S315] I realize that, over time, these individuals are able to awaken their potential for wholeness, balance their emotional and other disabilities, center on their strengths and take delight in fulfilling their purpose in life. At the start of their journey to health and wholeness these soul travelers are assessed using diverse diagnostic criteria, and offered a plethora of treatment possibilities. Generally, they face many perils as their functioning is oftentimes impaired, making it difficult for them to carry out daily living activities. Some patients need more support from family members or other professionals. Many of these travelers are considered to be high risk for personal and public safety and some of them choose to grow by acting out their suicidal, anti-social and criminal tendencies with behaviors that warrant corrective action and punitive consequences. On occasion they are sent to a locked psych unit or placed in a detention facility. Thankfully others glow as they develop their gifts and creatively contribute towards society. History is replete with such individuals. Over the years I have entered the silent space described by The Mystic Circle during hundreds of wedding ceremonies [N303] in ancient shrines, beautiful churches, awesome gardens, remote forests and serene beaches. I have met with both young and old couples, bi-racial and interfaith couples, and those without a faith tradition. I am grateful to each and every one of them for allowing me into their circle of family and friends and enhancing their mystic connections through a ritual performance. As the Liturgical Animator of the 1928 Book of Common Prayer and Pastor of the Little Flock at St. John’s Church in Hayward [1997- ] I welcomed the opportunity to join a devoted group of mostly senior soul travelers committed to their life of faith: The Empty Circle. These humble souls are committed to surrender through spiritual practices rooted in the Gospel of Jesus Christ [Ph. 2/7-8]. I have accompanied many of these souls [G265] as they transitioned to life after death. I met with these pilgrims every Sunday for ten years. The hours I spent presiding at the Eucharist and worshipping with the devout flock at St. John's for over 500 Sundays or visiting them in Convalescent Homes, have been truly sacred, spiritually enriching and pastorally meaningful for me. I thank all the parishioners, visitors and clergy who have been a part of my ministry at this Church since July 1997 [N262]. As we recall those who have gone ahead of us we pray that their heavenly glory, may bring peace into our lives on earth. We also pray for all the victims of terrorism and wars and for people throughout the world who grieve all types of losses, that safety and integrity may be restored and that peace may continue to reign in our hearts and homes and throughout the universe. Since 2003 I am delighted to be part of a group of artists dedicated to expressing the beauty around them in paint at the Senior Center in San Bruno, CA. In 2006 when I decided to sit for zazen at the Mercy Center in Burlingame, I realized that our expressions of beauty are transient yet eternal. As I continued to draw the Light within, I sought to find wholeness in brokenness, the ocean in a drop of paint and the universe in every breath. These artworks I called Mandalas ... [Coelho, 1994], the Sanskrit word for 'Integral Circles' or centers of energy. As instruments for meditation these images of Integral Art [Coelho, 2010] can expand the consciousness of the soul to Integral Being [Coelho, 2013]. Energized by the breath, prana, chi or divine energy, I painted glimpses of impermanence. I realized that my paintings flow from Integral Innocence [Coelho 2015]. These reflect my emotional connection with and spiritual compassion for the little, the lonely, the lost, the lousy, the lowly, the lover, their leaders and communities. I am grateful to this community of artists and the leaders for laughing along with me as we painted. I appreciate their cooperation in editing and publishing a photobook [R308] on the occasion of the centenary of the Senior Center in San Bruno. This book was entitled 2000 Years of Art from the Heart [Coelho, 2014]. As I choose to dwell on guidance for soul travelers today, I am led to consider the truth expressed in the following two statements: “To live with the saints in heaven is glory. To live with them here below is quite another story.” The life of every saint, a term I use to describe the integrated or fully realized individual and mature hero in many world traditions, is a paradox. Saints throughout history have led ambivalent and mysterious lives, yet they have one trait in common, the capacity to dance successfully with both the transcendent and the immanent states of consciousness. They have their feet firmly planted on existential conditions on Earth while their hearts rest in the stillness of Heaven. Every soul traveler is a saint in-the-making who continually strives to awaken, balance, center and take delight in the dance of harmony by serving humanity and all beings with compassion, thus realizing one’s purpose on Earth. As I discover my purpose in life I have let my feet rest where live the little, the lowly, the lonely, the lousy, the lost, their leaders and communities, especially in Sulcorna, Goa, and in San Bruno, California. For many years I have meditated on the words of Paul of Tarsus [1 Cor. 9/22] “To the weak, I made myself weak, to win the weak. I accommodated myself to people in all kinds of different situations, so that by all possible means I might bring some to salvation” or wholeness. On my way to wholeness I have come across a variety of people which are represented in my drawings and paintings by the symbol of the Enneagram. The term enneagram derives from two Greek words, ennea [nine] and grammos [something written or drawn]. The enneagram is a nine-pointed figure usually inscribed within a circle. As a spiritual tradition, that is more than two thousand years old, the Enneagram connects and unifies information ranging from music to psychology. The Enneagram of Personality is a psycho-spiritual typology that can help the soul traveler discover and develop higher states of consciousness. Each Enneagram personality type both unfolds and enfolds a distinctive and habitual pattern of thinking and expressing emotion. As a type Eight, I continue to use this typology, I hope effectively, to awaken innocence and personal growth, balance my shadowy arrogance, center on divine conscience, and delightfully glow in-harmony with all. As I look into a deep well and get in touch with my personal, collective and divine consciousness I am reminded of a story about a group of school children who were enacting the First Christmas scene. They had rehearsed much, and every child was well prepared to act. Vardhan, the seven-year old boy who was acting as the inn-keeper, was to reject Joseph of Nazareth with the words, "Sir, there is no place at the Inn. Take your wife and go elsewhere." However, during the performance little Vardhan, upon seeing Mary, the expectant mother, forgot the words he had so well-rehearsed. Moved with pity and compassion for the pregnant woman Vardhan’s heart missed a beat and without the blinking of an eye he muttered, "Welcome!" It goes without saying that the play could go no further. The act was over. Everyone in the audience burst into spontaneous laughter and applause. Little Vardhan’s message was loud and clear. - along the way to the Circle of Wholeness: Integral Being. Saint Helen (c. 250 –c. 330) was the illustrious mother of the emperor Constantine, the Great. She is an important figure in the history of Christianity and the world due to her major influence on her son and her own contributions in placing Christianity at the heart of Western Civilization. She is traditionally credited with a pilgrimage to Roman Syria Palestina during which she is claimed to have discovered the True Cross of Jesus Christ. Since 2003 I am delighted to be part of a group of artists dedicated to expressing the beauty around them in oil and acrylic paints at the Senior Center in San Bruno, CA. The second highest in ritual status of the four social classes of India. The earliest Vedic texts listed the holders of kshatra or authority as first in rank, then the Brahmans (priests and teachers of law), next the Vaishya (merchant-traders), and finally the Sudra (artisans and labourers). http://www.britannica.com/topic/Kshatriya on 2016-01-20. Priests for the Third Millennium. 2000. p 284. “Da mihi animas caetera tolle” translated in King James’ version as “Give me the persons, and take the goods to thyself” [Gen 14/21] was chosen by Don Bosco as the motto for the Salesian Congregation he founded in 1862. “Me search through research” according to Basil Van der Kolk in The Body Keeps the Score: Brain, Mind, and Body in the Healing of Trauma. 2015. Christ Yesterday, Today and Forever. 1993. Coelho, 1994. Mandalas … p 88. I met Vivian for the first time at St. Dunstan’s Parish in Millbrae on June 30, 1991, when at the invitation of Fr. Al Furtado, CSSP, I was participating in the celebrations organized by the Goan Community in the San Francisco Bay Area. 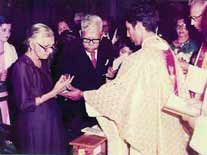 I was one of the concelebrants at the altar with Archbishop Raul Gonsalves of Goa who had ordained me at Our Lady of the Rosary Church in Navelim, Goa, on December 21, 1977. Independent Catholics and Priests belong to and are affiliated with churches or groups led by Independent Bishops. These groups identify with the Catholic tradition and their Bishops have apostolic succession. The Independent Catholics are generally not in communion with the Roman Catholic Church. Their sacraments are valid and may or may not be recognized by other Christian or Catholic Churches. Wounded healer is a term created by psychologist Carl Jung. Research has shown that 3 out of 4 counselors and psychotherapists have experienced one or more wounding experiences leading to their career choice. The Wounded Healer is the title of a hope-filled book by Henry Nouwen that I read many years ago. Fr. Nouwen spoke directly to those men and women who want to be of service in their church or community, but have found the traditional ways often threatening and ineffective. http://www.whiterobedmonks.org/ on 2016-01-03. Taussig, H.  A new spiritual home: Progressive Christianity at the grass roots. Santa Rosa: Polebridge Press. pp 70-71. As the Executive Director of Convalescent Hospital Ministry of Santa Clara Valley in California from January 2000 to March 2003, I was able to coordinate, train and lead a group of 100 volunteers, from 25 Churches including St. John’s Church, to provide over 20,000 hours of visits each year. The Spectra of Wholeness: Please see page 329 for more details.